Every year since 1977 International Museum Day is organised worldwide around May 18. In 2016, the event will celebrate the theme Museums and Cultural Landscapes. This theme seems appropriate as the threats to our cultural landscapes increase in the face of increasing urbanisation. Perhaps it is time to take a look at some of the museums and historic places which are caring for our culture. Belgenny Farm on Elizabeth Macarthur Avenue originated as a model farm established by John and Elizabeth Macarthur and their sons to provide an example to the early settlers in the Camden district. It retains many of the original buildings and homestead and is used for events and weddings. Camden Museum was established in 1957 by the local community which has continued to value the material culture from the agricultural and civic past. Today the museum continues to reflect the places and people of the Camden district in traditional and contemporary displays. The museum is run by volunteers from Camden Historical Society and is situated on John Street, Camden, next to the library and Family History Society. Gledswood Homestead on Camden Valley Way. Originally built by M. Huon de Kerriliau in 1810, it became the home of James Chisholm and family for many years. It includes a convict built stone cottage and winery and outbuildings with a beautiful colonial garden. Glenalvon in Lithgow Street, Campbelltown is the home of the Campbelltown & Airds Historical Society. It was built by Michael Byrne, son of Wicklow rebel/patriot Hugh “Vesty” Byrne circa 1841 and consists of the two storey Main House, the earlier Servants Quarters, and a Victorian Coach House and Stables. The house and gardens are beautiful and the displays change to reveal the life of the house and the town and district. Appin lies on the road between Campbelltown, in south-western Sydney and Bulli in the Illawarra on land that was originally inhabited by Dharawal Aboriginal people. In 1811 Governor Lachlan Macquarie named Appin in memory of the small coastal village of the same name in Argylshire, Scotland where his wife had been born. It was in 1811 that he granted 1000 acres of land to William Broughton and 200 acres to John Kennedy. Visit Appin History Rooms in Friendship Arcade, Appin. 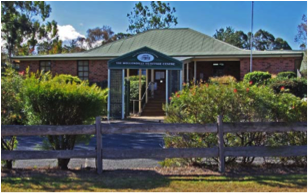 The Wollondilly Heritage Centre & Museum was built in 1988 on Edward Street, The Oaks. It is open every weekend and public holiday. On May 22nd there will be free entry to see the many displays and special WWI exhibitions and to see the extensive archives and research library. The Museum tells the stories of the Gundungorra families in the Burragorang Valley who lost their homes and the stories of the European families who lost theirs as the waters of the Warragamba Dam inundated 17,000 acres of the valley for Sydney’s water supply. Trainworks Barbour Road, Thirlmere, has an amazing collection of heritage steam and diesel trains and stories of the men and women involved in railway life in and around Sydney. Special events are held regularly, including Thomas the Tank Engine and his friends.